Mental health disorders have become a world-wide problem as a result of its contribution to the current and predicted global burden in the future. However, huge treatment gap in most countries, especially lower-middle-income countries, is still evident, reflecting the poor concern of the government in regards to the issue. Many countries world-wide take mental health issues as a non-priority, which leaves advocacy in mental health system development to walk a long journey ahead. International Short Course on Advocacy Skills in Mental Health System Development: from Research to Policy is a 2 weeks course designed to answer the need for advocacy skill training in developing mental health system. 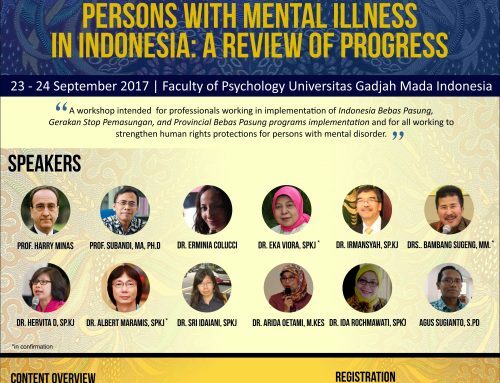 This course is intended for students (undergraduate, post-graduate, doctoral), researchers, mental health professionals (psychiatrist, psychologist, mental health nurse, GP, and other clinicians) as well as policy makers from any countries world-wide who have concern in the development of mental health system. 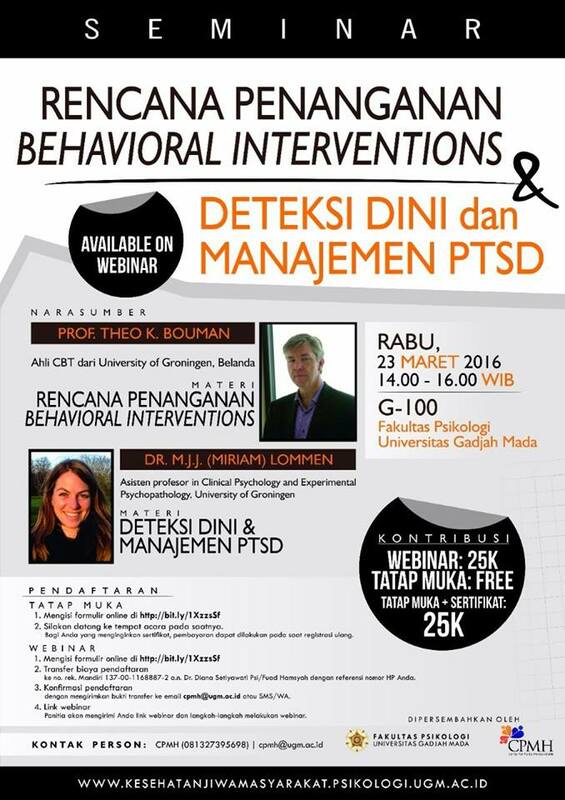 This course materials will be delivered by experienced experts in the area of mental health system advocacy. It will also include small group works, discussions, as well as field trip to local community-based mental health rehabilitation facility. Be the agent of change in the development of mental health system. 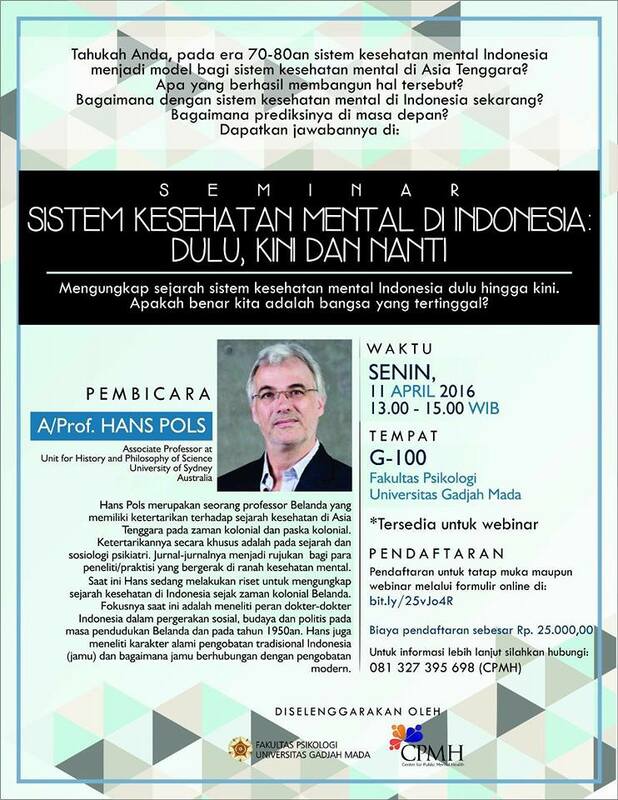 Have proficient understanding and consideration of local culture in the development of the mental health system. Conduct research in epidemiological and prevalence of mental health and the various methods of research that supports advocacy. 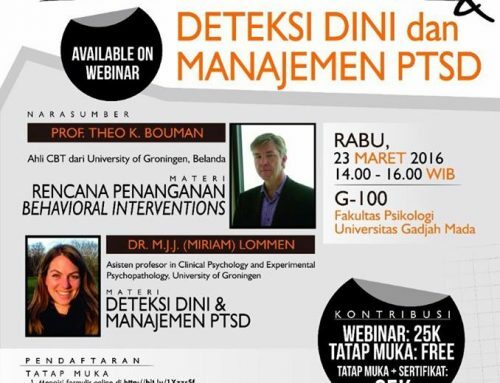 Perform cost-benefit analysis of the mental health policy. Evaluate policy and conduct impact research. 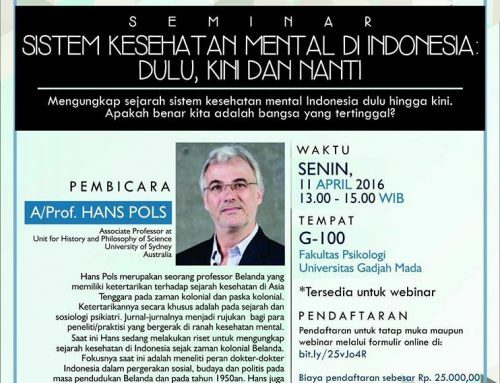 Lecture by international & national experts in mental health advocacy. Small group work to analyze the situation, develop ideas of advocacy program, outline steps of advocacy program. Development of research projects and joint publications. Visitation to community-based mental health rehabilitation facility. 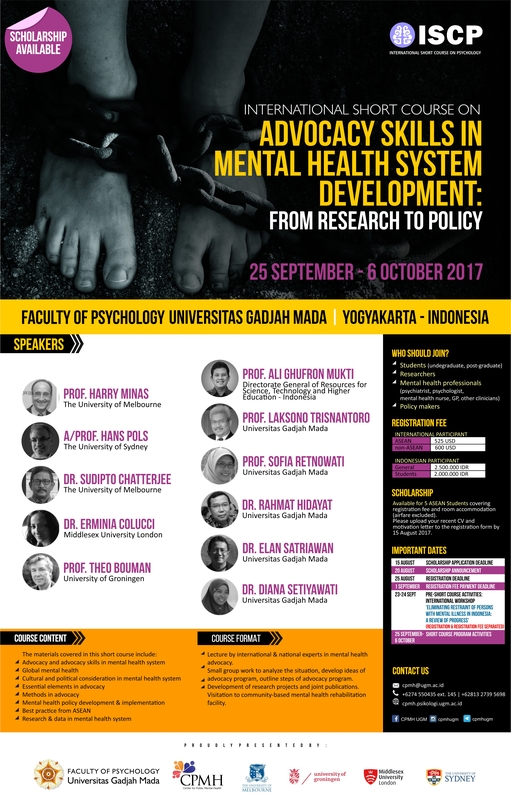 International Short Course on Advocacy Skills in Mental Health System Development: from Research to Policy will be held in Universitas Gadjah Mada, Indonesia on 25 September – 6 October 2017. 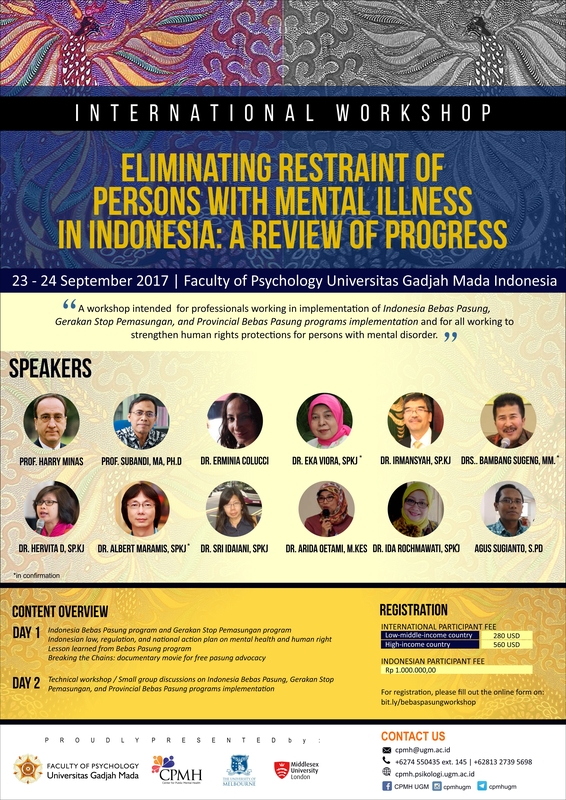 Prior to the Short Course, there will be International Workshop ‘Eliminating Restraint of Persons with Mental Illness in Indonesia: A Review of Progress’ on 23-24 September 2017 (registration & registration fee separated). ASEAN Student is eligible for scholarship (airfare excluded) for up to 5 students. Please upload your recent CV and motivation letter to the registration form by 15 August 2017 EXTENDED until 27 August 2017. Other participants (researchers, mental health professionals, clinicians, policy makers, etc) may join the short course and pay the short course fee and travel cost from their home country.